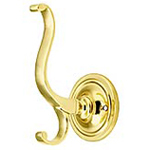 Select from our extensive collection of durable and stylish vintage coat hooks and hat hooks. 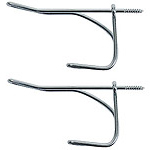 All our decorative hooks are available in a variety of styles and finishes. 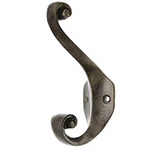 Choose from our unique selection of brass coat hooks, wrought iron hooks or vintage wire coat hooks to add the perfect period accent to your home quickly and easily!